Training for maximum power requires you to recruit the high-threshold motor units. To recruit them, you must lift maximal loads (>85% of 1RM) or you must lift submaximal loads (50-75% of 1RM) with high acceleration so the actual lifting velocity is fast. There’s a simple way to ensure that you get maximum power from each set: limit the duration of each set to 10 seconds or less. Why? It has to do with the endurance capabilities of your high-power motor units. Your largest motor units are known as fast-twitch, fast-fatigable (FF) motor units that contain a large bundle of type IIb muscle fibers. Type IIb fibers have a very limited capacity of energy so they fatigue within 10 seconds. After you recruit the FF motor units, it’s tough to keep activating them because they don’t recover quickly. However, the second most-powerful motor units come from the fast-twitch, fatigue-resistant (FFR) motor units that contain type IIa muscle fibers. Like all motor units, they range in size and endurance. You have FFR motor units with fewer muscle fibers that get activated before a FFR motor unit that’s any larger. In other words, you have FFR motor units that are bigger and stronger than others. The largest ones have the lowest endurance capacity. So by keeping your sets to 10 seconds, or less, you’ll target and develop the most powerful FFR motor units that have plenty of growth and power potential. With heavy loads, this 10-second rule is easy to follow because you can’t go past 10 seconds, even if you tried. For submaximal loads, it’s much easier to screw up. As a gross generalization, shoot for three reps per set with submaximal loads. For example, when you need to build explosive power, start with a load that allows around 20 reps. For those of you who like percentages, this is around 60% of your 1RM. Then, perform only three explosive reps for 10 sets with approximately 45 seconds of rest between each set. This ensures that each set lasts less than 10 seconds, the actual lifting velocity remains fast, and stay far away from failure. Remember, when you approach failure motor units start dropping out. So whether you’re training heavy, or light and fast, limit the duration of your sets to 10 seconds and you’ll build new muscle and power fast! So in your program Get Lean, when the load calls for a load you can lift 20-22 times, would this still apply? and so on until I reach 50 total reps as it calls for in the book. CW: No. A load you can lift “20-22” times is for the first set. Then, you continue doing as many reps as you can until you reach 50 total reps for that lift. Training for fat loss, and training for power, require different strategies. Thanks for the tip Chad I will have to incorporate the 10 second duration set into my training and see what effect it has. Nice post! Do you find your workouts lasting longer with the 10×3 rep scheme versus the 3×10 rep scheme? I am thinking to give the fast twitch fibers time to recuperate for maximal strength or velocity. Thanks. CW: Yes, the workout lasts longer but it’s much more effective. Great post. I was wondering how the 10 second rule might relate to bodyweight training? I can see the correlation to explosive push up movements, but what about pull-ups/chin-ups? Let’s say for example, at 190lbs, two goals are to complete 30bw pull-ups and to be able to rep one-arm pullups. Currently, you can do 20bw pull-ups and a 3rep max with BW+95lbs. Following the 10second rule, would you simply do BW pull-ups as explosively as possible for 10sec? Should this translate into an improvement in your BW max? I can better understand the rule with using 3 & 5rep max weights and how this would correlate to strength gains. Thanks and keep up the great posts. CW: Yes, this applies to BW training, too. As you mentioned, do your reps explosively and stop each set at 10 seconds. However, for pure endurance training (eg, 50 rep pull-up) you’ll need the sets to last longer. So every other workout, or every third workout, focus on repping out as much as possible. CW: The other way is to stop each set once your speed slows down noticeably. This only works well with loads that allow more than 6 reps per set, though. when limiting your sets to a max of 10 seconds, your body will be using more ATP and creatine phosphate for energy than glycogen, correct? glycogen starts getting used up soon after that when the exercise/sport becomes longer in duration. so basically my question is, if we are training like this, do we need only a small amount of fast acting carbohydrates after a workout because we didnt deplete the glycogen stores as much as we would with longer sets? CW: The key point here is workout volume. 8-10 sets per body part with 10 second sets is draining enough to mandate a fast-acting carb drink. A circuit of the chin/dip/deadlift with 8-10 rounds of 10 second sets is plenty of work. I think the future of training will turn around “time-training”. Booth for Hypertrophy and Power, however it is very difficult (at least for me) to know the exact values. For example: Now a famous coach recommends to do up to 20 reps of squats for hypertrophy. Well for me this is very logical! If you keep doing sets of 5 or even 8 reps you can have serious wealth problems (at least for me). I think this is linked with the amount of weight one can lift + technique and the joints, regarding the joints: people with less flexibility seems to perform better and with less injuries. In soccer (I’m from Spain) the players with less flexibility in fingers and knees are the less injured. I learned this from a F.C. Barcelona doctor. Another thing I learned by accident was with my forearms. I was doing the standard flexors curls, with no luck, in fact my wrists where getting more and more pain. One day when doing high pulley rows supersets (10 reps behind neck + 15 reps in front of neck with no pause) I found that my lats where more or less not suffering too much, but my forearms where burning and with and incredible pain (this time in the muscle, not on the wrists) that I could barely close the fingers at the end of the first set. In 3-4 weeks they grew a lot, and more solid and dense than ever. Why? Was not high series “bad”? I got no logic answer. 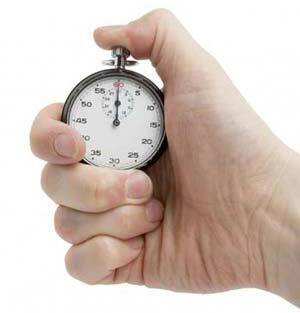 1.- The amount of time a muscle is in tension. 2.- The total amount of tension + the movement speed. About 1: Wrist have a very limited range of motion, thus it’s important to keep them working long time enough. So what about the squats! It’s a loooong movement. Yes, but too complex, in fact the forces for each muscle vary very much depending on the movement phase if you do the complete movement with free weigths. And 2: To me it seems that giving a trainer with enough power, the best practice for muscle grow it’s to lift a weight at a quite fast speed (but controlled) and when speed decreases stop the exercise, better more sets and frequency than going to failure, because CNS drains quite fast. UNLESS: Involved muscle it’s small: Forearms, biceps, tríceps, deltoids isolated and other well isolated muscles like leg curls, etc. And guess what? You are one of the few coaches I know that told that first. But the problem is: How to properly mix it all together in order to know how much time for which muscles??? – If you squat like 3×10 with 60 kg, don’t do 20 reps, it has no sense. Only when weight goes up. – Don’t go to failure for big compound muscles: Squats, deadlift, bench press, rows, press, etc. – Some muscles needs/can work long time for results, like forearms, while other seems to perform better with fewer time, like… triceps? But these seems very depending on the exercise made. – Training frequency it’s very important! less exercises at bigger frequency seems to work better for muscle building (and other applications too) than to less. Obviously you can’t do the same amount of exercises. I think the reasons why lots of people are happier with lots of exercises at lower frequency it’s because this way they perform a lot of exercises, this way it’s easier to do some exercises that work. If you select a higher frequency you need to chose the exercises very carefully, because if you choose the wrong ones then it’s a disaster! So finally, to sum up all things, the difficulty for me it’s to find the correct amount of time for every exercise. And then to choose the right exercises as well. Of course that’s my personal opinion, but I think it’s quite close to what you say. And I wanted to know from you (if possible) what you think about it. Thank you very much for your time, patience and articles. CW: The bottom line is there’s no perfect recommendation for all exercises and muscle groups. Some muscles respond better to higher reps (delts) while others need higher load and shorter sets (hamstrings). The key is to take the information in articles like this and try it out. See what works best for you and stick with it. Chad, this is fascinating to me. I’m trying to figure out how to design my workout around this principle, and wondering if there is a limit to how much you utilize this in a workout. Would you only do this for one exercise in a day, or can you do it for more? Can you please give an example of a workout utilizing this principle? CW: This works for all your sets in a workout. The key point I was trying to make was to keep your sets shorter so you can train more explosively. When you lift heavy, your sets already end within 10 seconds (usually) so this info applies to lighter lifts. Instead of doing 15 slow reps, do 8-10 fast reps in a set. Chad, I just want to make sure that I understand this. So for example, If im doing a chest lift. When I do my bench press I should do 8 sets of 4 of my 85% RM but for something like incline flys I should, instead of 4 sets of 8-10, do 6 sets of 6 that are explosive. Smaller muscles more explosive, higher sets, core muscles more explosive higher weight?? CW: The reps don’t matter as much as the time. For example, you could knock out 15 reps in 10 seconds with a light load. But yes, 6×6 is generally better than 4×10. Great article. I was wondering for KB swings and snatches would the 10 second rule work well or should I do a set of swings and snatches until my speed declines then stop and wait a min or so for the next set. Lastly, in performing the russian ladders for increasing pressing power, should I stop that set once I begin to struggle pressing the KB over head. Sometimes that happens on the last rung of each ladder set. CW: Yes, the 10 second rule works for muscle and strength gain. For endurance you’ll need longer sets. Overall though, it never hurts to stop when your speed slows down. I don’t like slow-grind reps. It’s better to rest a little when the speed slows and repeat with more energy. What are you working when you exceed 10 seconds. If under 10 seconds is explosive what is 10-60 seconds called? Also I see people training a lot with medicine balls and they say they are working on explosive power. However they are doing like 8 reps of a med ball toss and it takes about 20-30 seconds to complete. Is that still considered explosive or it is something else? CW: When you exceed 10 seconds, you’re tapping into the FFR (fast fatigue-resistant) motor units. These are important motor units and I often have my fighters do sets that last longer than 10 seconds because they need powerful endurance. However, if you’re looking for peak recruitment, it ends around 10 seconds. For the med ball stuff, think about the time they’re actually throwing, not the total time of the entire set. So if a guy throws a med ball, walks over to it, then throws it again, these “sets” around actually about a second long. Don’t forget that the short rest between reps serves as a rest period to let the motor units recover. Much like rest/pause training. Chad what are some of the exercises you like to implement this 10 second rule with? CW: All of them when strength/power is the goal.